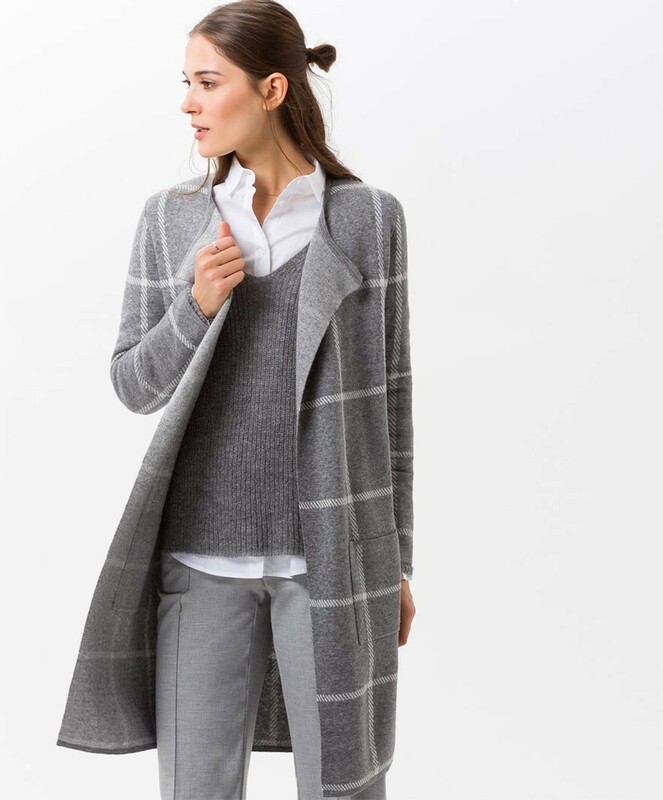 Womens long line checked cardigan by Brax Feel Good, style Amanda. 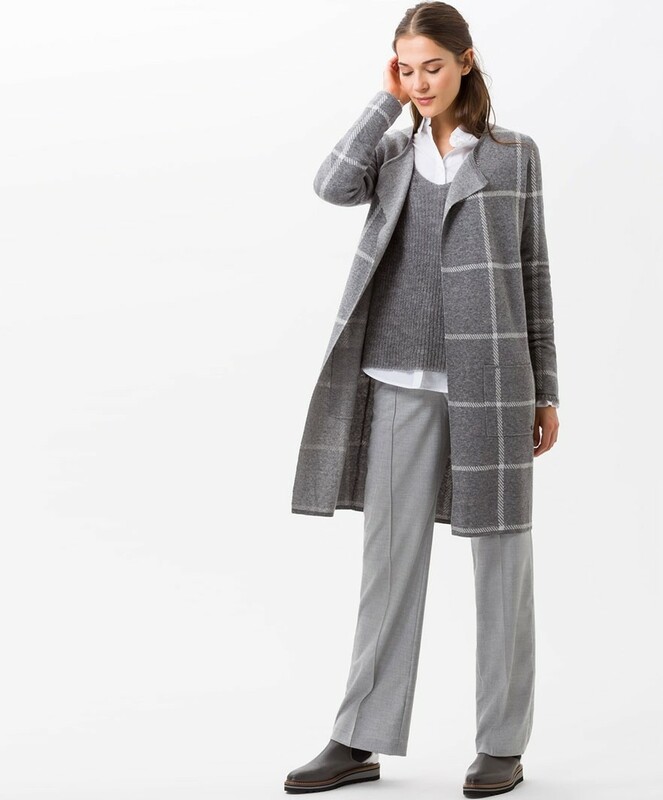 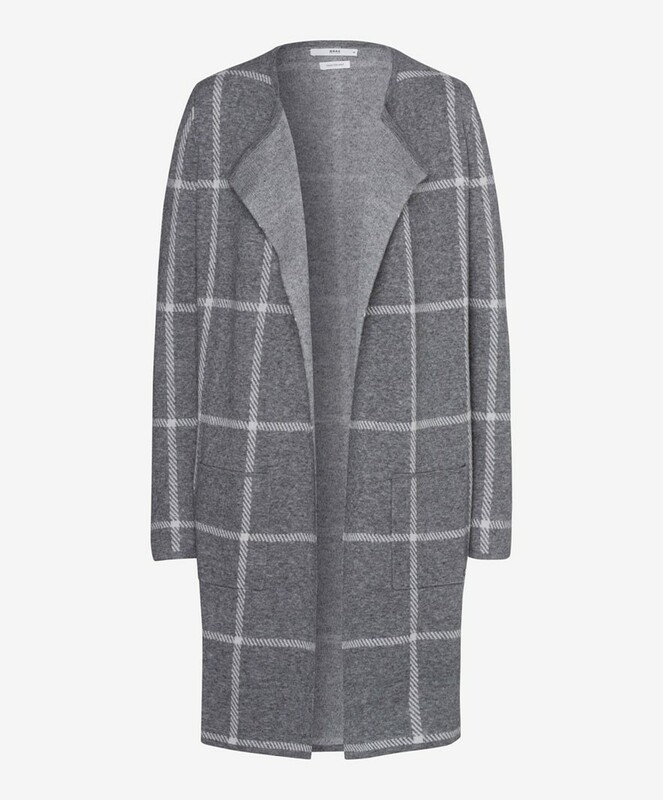 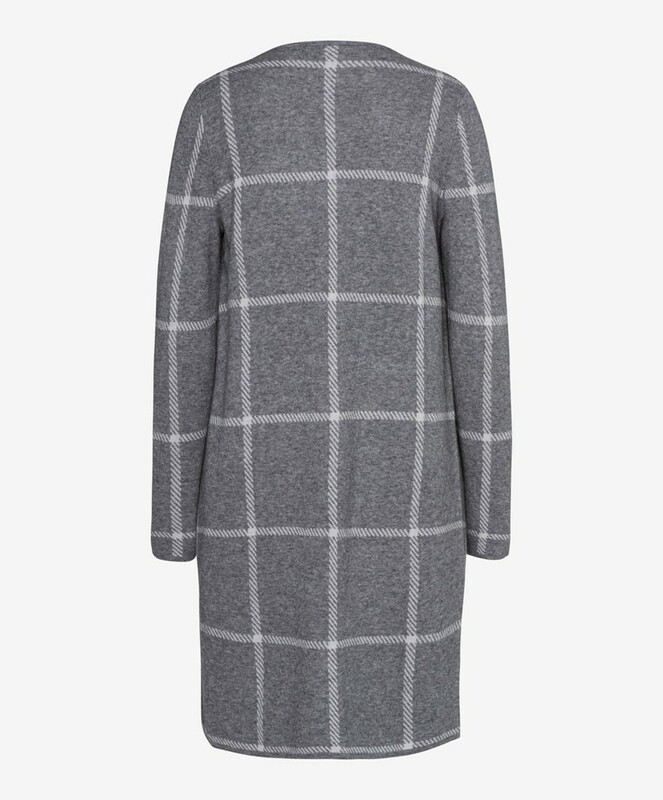 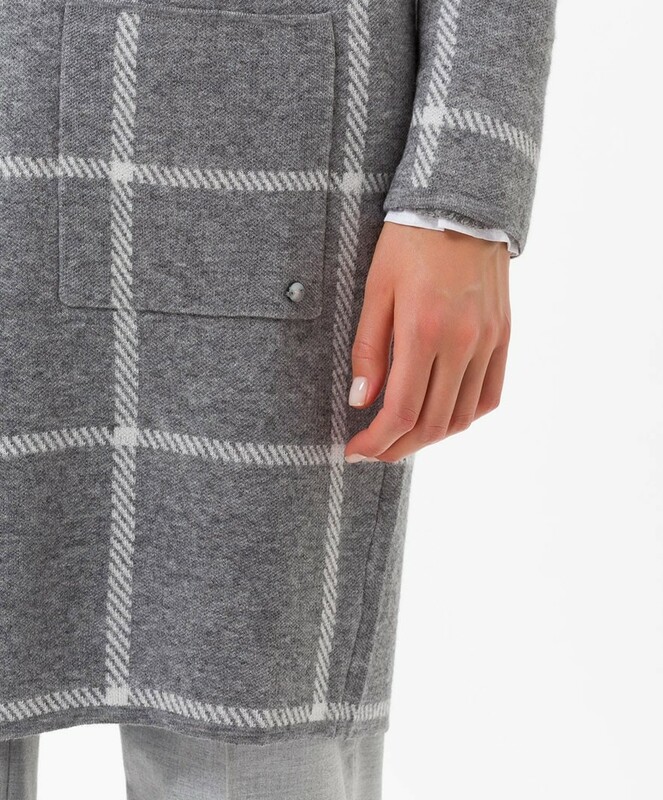 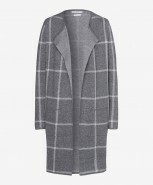 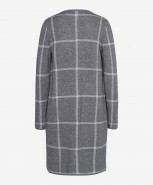 Ultra stylish long line cardigan in a modern large check, the ideal layering piece and perfect for a lighter coat too. Made from a blend of merino wool, it is warm and super soft ensuring the highest wearing comfort. 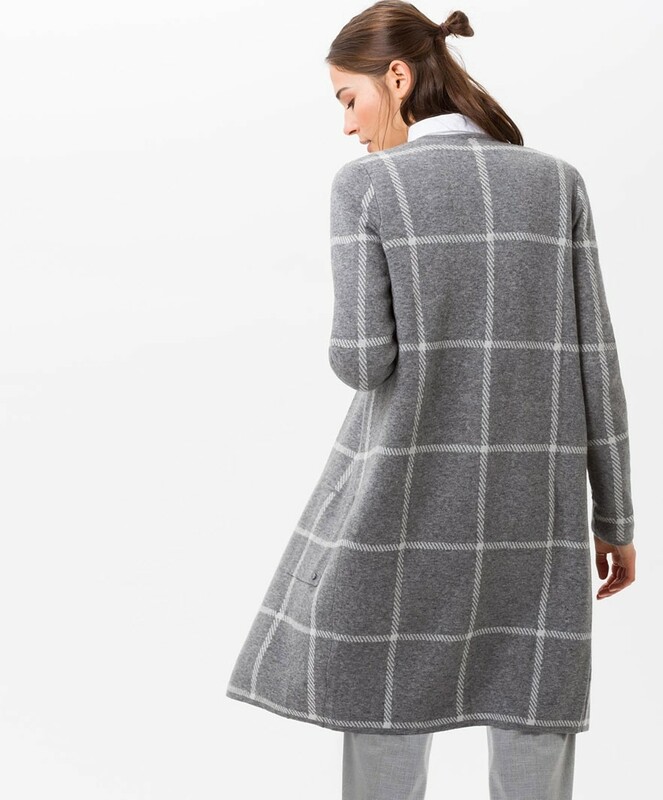 Edge to edge with turn back collar and two discreet pockets.